A Difference You Can See, Smell, Feel and Taste. Frozen bread is nothing new. But the process we use certainly seems new because it shatters expectations. 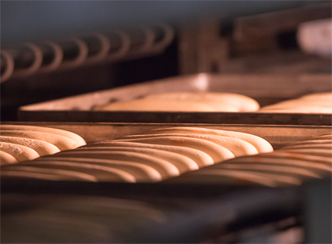 Our cutting-edge flash-freezing process results in bread, buns and rolls that have a just-baked taste, texture and aroma. Our flash-freezing process locks in all the essentials of just-baked bread. So when thawed, it’s like it is fresh from the oven. That’s the Aunt Millie’s Bakehouse difference. It all begins with the finest ingredients that are then baked in efficient, technologically-advanced bakeries by expert bakers. We combine the art and science of commercial baking to assure you the highest quality possible. As soon as the bread comes out of the oven, it is frozen using a flash-freezing process that locks in flavor, moisture, aroma and freshness. 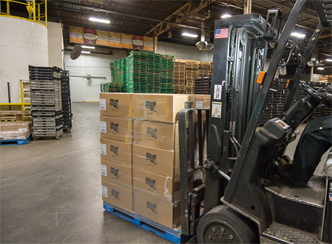 Our quality baked products are immediately boxed then shipped to you frozen. 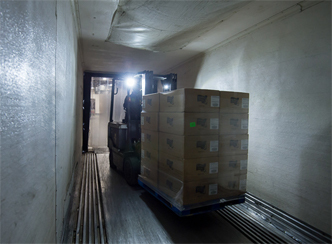 Once delivered, Bakehouse products can be kept frozen for up to one year. Once thawed, they have a 10-14 day shelf-life.